When Kellie Bath realised there were 57 cubes of sugar in the breakfast spreads she was feeding her children, she decided to make her own. 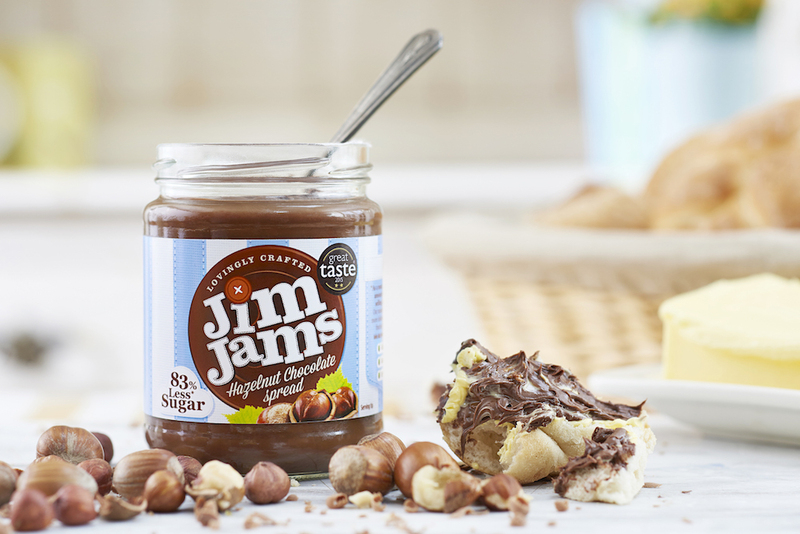 Read how Jim Jams Spreads & Jams was born. I ran my own complementary health therapy business and before that I worked in London (in various roles in training and development). After my first pregnancy, I decided to leave my career in London. I didn’t want to travel, leaving at the break of dawn and coming home late at night. What’s the point of having children if you never see them? I decided to re-train in a long-held passion of mine (reflexology, nutrition and complementary therapies) and set up a part-time business from home. Where did the idea for Jim Jams come from? The inspiration came from our children. We were shocked at the amount of sugar contained in breakfast spreads (a jaw dropping equivalent of 57 sugar cubes in a jar of the leading brand of chocolate spread!) and jams were no better (overflowing with the cheap white stuff instead of fruit). There was a gap in the market for a family brand that cared about the lazy overuse of sugar. From the outset we thought we were onto something special so held our breath and took a huge leap of faith. My husband left his London career to help me drive our health conscious business forward. Neither of us had any industry experience but we had a strong work ethic and positive attitude. 83% less Sugar than the globally recognised market leader! Health conscious mums who have an interest in providing themselves and their families with healthier/lower sugar products that don’t compromise on taste or appetite appeal. We try as many avenues as possible (it’s all about finding out for yourself what works for your business). Sampling and product reviews are important (some of the things we have done this year include a product review with NetMums, we’ve sampled our products in the supermarkets, we’ve sampled 15g mini portions through high profile magazines etc). It’s also really important to have a strong digital footprint and a bold ‘disruptor brand’ PR strategy. What’s been your most successful marketing stategy? In terms of sales, we’ve just run our most successful in-store supermarket promotion to date. Promotions are obviously a powerful trialling tool to entice customers to try our products. However, the success of the promotion has undoubtedly benefitted from the cumulative head of steam created by past work to establish strong brand foundations. Managing cash flow! Running a successful business can take years to achieve and there will be times when you need additional funding. We have been lucky to have gained two rounds of investment to keep us going during the early phases of brand building. There have been many… being the first brand to be Sugar Wise Certified, receiving three Great Taste Awards, and a Mumsnet accreditation. On a personal level, conquering fears such as pitching in front of potential investors. It’s not so much ‘work’ that is important to me, rather self-development. Being brave enough to do things beyond my comfort zone and taking a leap of faith has been good for me and changed my perspective on life. Having the chance to be creative and follow my own instincts have also been life-changing. Anyone who walks their own path. It’s natural for start-up businesses to try and imitate other established businesses but you have to find your own tone, style and personality. Along the way, experts will tell you to do it this way, do it that way, don’t say that etc, until you have almost lost yourself. The simple truth is ‘be true to yourself’ and you won’t go far wrong! I’m not going to lie, with great difficulty. When you start a business, it is all consuming and it does impact on the quality time you have with your family. However, we do try to play by certain rules such as planning family day trips every so often. I personally finish work when the kids get home from school as I want to help with homework, cook a decent meal and generally be available for them. My husband works much longer hours and travels a lot, which can be a struggle at times. 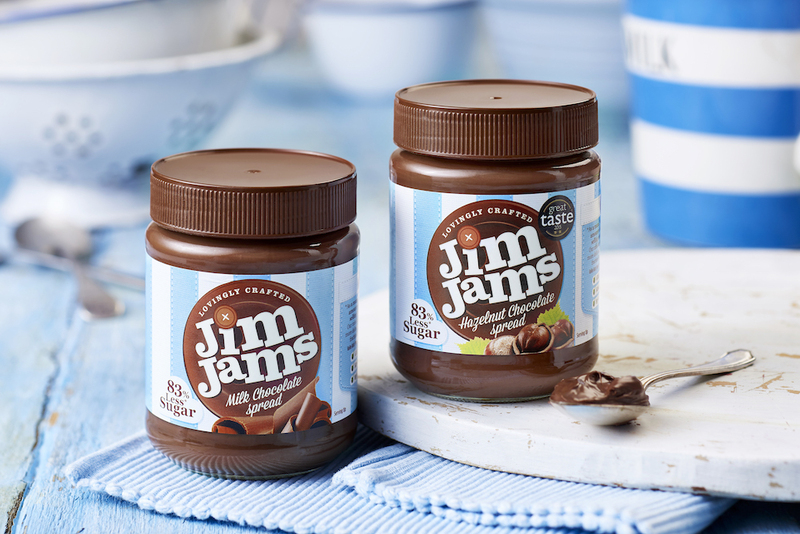 You can find out more about Jim Jams Spreads & Jams on their website.